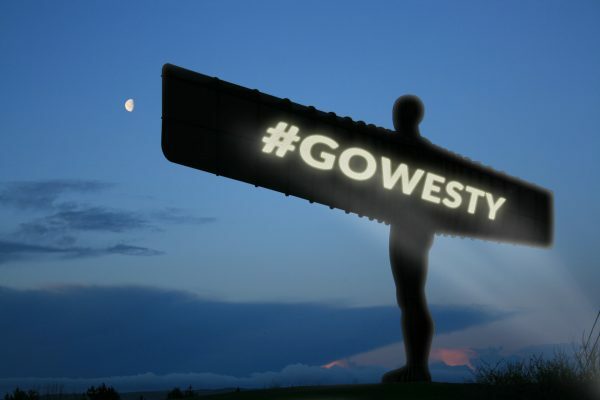 Your Golf Travel sent its night owls to The Angel of the North last night ahead of The British Masters at Close House to project a support message to the host of the week, Lee Westwood. The projection which filled nearly the entire wings of the Angel of The North, an icon of the North East that measures over 20 metres tall and 54 metres wide, appeared on Tuesday night ahead of the tournament which starts on Thursday at nearby Close House. 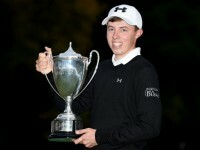 Westwood’s northern takeover stretched further than the wings of Gateshead’s famous landmark as he went on to conquer the Hero Challenge yesterday evening and prove that golf is definitely fun. The host wins the #HeroChallenge! It’s safe to say that here at Your Golf Travel we were ecstatic with Lee’s triumph, with the Hero Challenge often dubbed as golf’s fifth major (everyone knows that, right?). Jokes aside, it was a fantastic way to kick off the British Masters and we will be supporting Lee all the way as he aims to use his home advantage to add to his 23 European Tour wins to date. 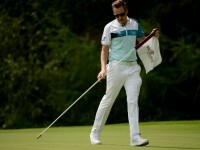 Who’s playing in the British Masters? 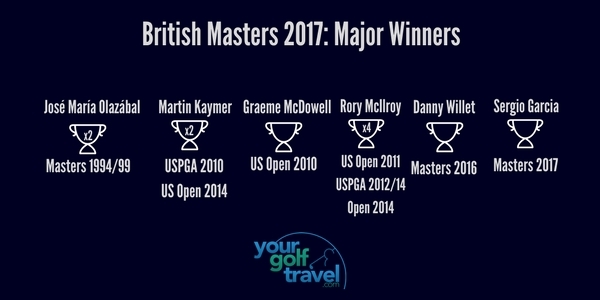 This year the field is arguably the strongest it has ever been for a British Masters. Despite some late absentees from Andrew ‘Beef’ Johnston (shoulder injury) and Tommy ‘YGT Rory’ Fleetwood (birth of child), Lee Westwood has pulled out all the stops to get the best golfer’s possible to make it a competitive and exciting weekend – including six major winners! It is sure to be a truly exciting and competitive weekend of golf, but just how did Lee convince some of golf’s elite to come to the North East of England in late September? 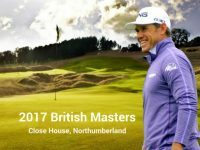 The host for the British Masters is Close House, one of the finest golfing venues in the North East, home to two championship courses as well as luxury accommodation. Lee Westwood’s Colt Course will be the track the field will take to on Thursday morning and is simply superb. Designed by Harry Colt, who has cast his expertise over the layout at Wentworth, the course was voted in the top 100 courses in England, just eight months after opening in 2011. The signature hole at the course is the par-3 9th hole which is in full view as you drive down towards the clubhouse, take a look at Westwood, Mark Crossfield and Rory from YGT take it on below! While the Filly Course won’t be featured for the British Masters it is actually the older of the two, having been redesigned by Westwood himself in 2007. Featuring many of the same trademarks of the Colt Course with undulating fairways and a typical parkland challenge, it is seen as easier than the Colt, offering exciting golf for golfers of all levels. 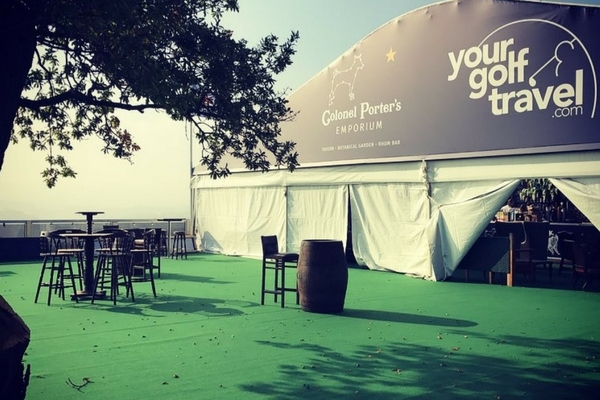 So, you may have heard that Your Golf Travel are an official sponsor of the British Masters and we will be there at the Colonel Porter’s bar on the 18th tee – you can’t miss us! To celebrate the host’s glittering European Tour career, we have set up an interactive board where you can write down your name and favourite course for a chance to win one of 5 FREE GOLF HOLIDAYS! So if you’re visiting the British Masters this week then get down and see us and for those who aren’t, get behind Lee Westwood this weekend and use the hashtag #GOWESTY on social media to show your support.